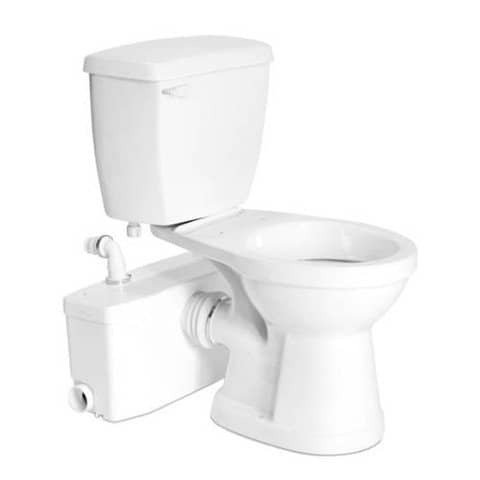 In contrast to a residential toilet, an RV toilet flushes down into a holding tank (commonly called the black tank) rather than the sewer. This can cause a few different issues, including clogs and odors. First, let’s explore the issue of clogged RV toilets and holding tanks. You may have heard, RV’s require a special type of toilet paper, that’s more expensive. You may think, that’s silly, I’m gonna save money, and buy the cheap stuff. Unfortunately, ordinary toilet paper does not break down as quickly as RV specific toilet paper. This failure to break down can lead to clogged toilet and/or black tank. Toilet paper can also cling to your tank sensors, causing false readings. Finally, dispose of #1 toilet paper in the trash, and only flush down #2 toilet paper. Additionally, not using enough water to flush down solid waste, can lead to a clogged RV toilet. If you are boondocking, you may be tempted to use as little water as you can. Unfortunately, this can lead to toilet troubles. If you are conserving water, you can follow the old adage, “If it’s yellow, let it mellow, if it’s brown, flush it down.” Also, save dish washing water to help flush down solid waste. First, do not use chemicals such as Drano in your RV plumbing! Unlike house plumbing, which uses hard pipes, an RV uses flexible tubes, which caustic chemicals can wreck. The first line of attack on a clogged RV toilet should be a flexible plumbing snake. 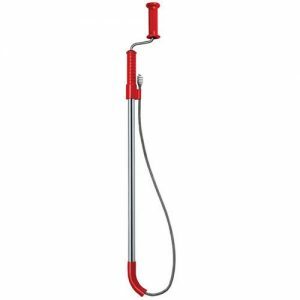 This tool will quickly clear any obstructions, either pushing it fully into the black tank, or pulling it back out. Another quick fix, many RVers have had success with, is simple, boiling water. This can be a good follow up to clearing the toilet with the plumbing snake. Simply bring a large pot to a full boil, turn off your water (either city or pump) and pour the boiling water into the open toilet. This should work to dissolve any remaining clogged waste. If you have a nasty odor inside, the likely source is your RV holding tanks. Mostly, the black tank is problematic for causing bad odors. Not only can the waste in the black tank smell, but certain tank chemicals can sometimes make the odors worse. Some RV black tank treatments contain chemicals which eliminate both the bad bacteria, and the good bacteria. These chemicals simply mask the odors with fragrances. Therefore, it’s important to use only natural, bacteria enzyme formulas. Natural enzyme formulas will first break down the waste, into something the beneficial bacteria can digest. This will not only will reduce any odors, but will also keep the tank cleaner. Over time, the enzymes and beneficial bacteria will reduce sludge build up inside your black tank. As a result, your RV tank gauge will also read more accurately. However, to avoid future RV black tank problems, avoid rinsing the tank, once you begin using a natural, enzyme treatment. Once you begin the natural enzyme treatment, you want the beneficial bacteria to multiply. The resulting beneficial microbes will grow stronger, and more effectively digest waste. 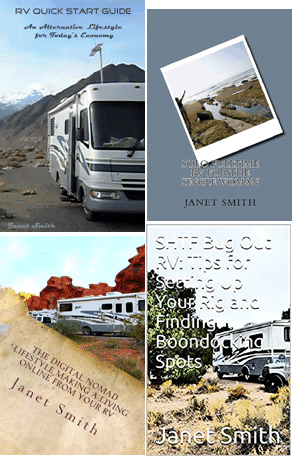 Do you have a foul odor in your RV? The first likely source of bad smells in an RV odor is the toilet. A nasty odor can make fulltime RV living close to unbearable. Take the below advice, to help get rid of that nasty odor, and get your RV lifestyle back on track. This is the first step to keep your trailer or motorhome smelling fresh. Whenever you can, open all the windows, and let in the fresh air for a day. The tight quarters of an RV can quickly collect foul smells, that can linger for a long time. Air out your RV as often as possible, and you’ll stay ahead of any odor problems. Another common source of RV odors, is the vent cap. The RV toilet and black tank has a vent pipe. This is supposed to draw odors up and away, but unfortunately, stock vent caps don’t always work as they should. If your RV odor only happens while driving, or when the wind is blowing, there may be a vent cap issue. You can get a specially designed vent cap, that will more effectively draw odors away. Affordable, aftermarket vent caps, such as a cyclone, siphon, or one with a fan, will help eliminate RV odors quickly. Replacing your vent cap, along with natural, enzyme based toilet treatments, should solve your RV odor problem, quickly and effectively.